Beef pork barbecue loaf: Beef pork barbecue loaf is high ash, sodium and pantothenic acid. On the other hand. is low in total dietary fiber, total sugars and manganese. Blood sausage: Blood sausage is high total lipid, iron and saturated fatty acid. On the other hand. 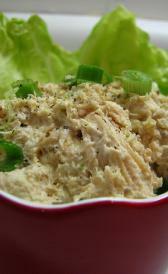 is low in carbohydrate, total dietary fiber and total sugars. Raw veal pork bockwurst: This food is low in carbohydrate, total dietary fiber and total sugars but Raw veal pork bockwurst has total lipid, niacin and saturated fatty acid in high quantity. Beef bologna: This food has a low quantiti of carbohydrate, total dietary fiber and total sugars but has a high quantity of total lipid, sodium and zinc. Beef and pork bologna: High in total lipid, sodium and saturated fatty acid and low in carbohydrate, total dietary fiber and copper. Pork bologna: This food is low in carbohydrate, total dietary fiber and total sugars but Pork bologna has sodium, thiamin and monounsaturated fatty acids in high quantity. Turkey bologna: This food has a low quantiti of carbohydrate, total dietary fiber and manganese but has a high quantity of sodium. 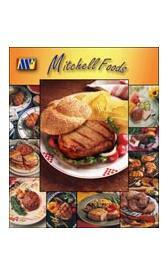 Cooked pork bratwurst: Cooked pork bratwurst is high total lipid, sodium and zinc. On the other hand. is low in carbohydrate, total dietary fiber and total sugars. Link beef pork brotwurst: This food has a low quantiti of carbohydrate, total dietary fiber and manganese but has a high quantity of total lipid, sodium and saturated fatty acid. Light meat chicken roll: Light meat chicken roll is high sodium and niacin. On the other hand. is low in carbohydrate, total dietary fiber and total sugars. Chicken spread: This food is low in carbohydrate, total dietary fiber and total sugars but Chicken spread has sodium in high quantity. Pork and beef chorizo: This food has a low quantiti of carbohydrate, total dietary fiber and total sugars but has a high quantity of food energy, protein and total lipid. Jellied corned beef loaf: High in protein, sodium and zinc and low in carbohydrate, total dietary fiber and total sugars. Unheated beef frankfurter: This food is low in carbohydrate, total dietary fiber and total sugars but Unheated beef frankfurter has total lipid, sodium and saturated fatty acid in high quantity. Beef and pork frankfurter: This food has a low quantiti of carbohydrate, total dietary fiber and total sugars but has a high quantity of total lipid, sodium and saturated fatty acid. Chicken frankfurter: High in sodium and low in carbohydrate, total dietary fiber and total sugars. Turkey frankfurter: Turkey frankfurter is high sodium. On the other hand. is low in carbohydrate, total dietary fiber and total sugars. Canned chopped ham: This food is low in carbohydrate, total dietary fiber and total sugars but Canned chopped ham has ash, sodium and thiamin in high quantity. Not canned chopped ham: This food has a low quantiti of carbohydrate, total dietary fiber and total sugars but has a high quantity of sodium and thiamin. Minced ham: This food is low in carbohydrate, total dietary fiber and total sugars but Minced ham has sodium, thiamin and monounsaturated fatty acids in high quantity. Ham salad spread: This food has a low quantiti of total dietary fiber, total sugars and calcium but has a high quantity of sodium and thiamin. 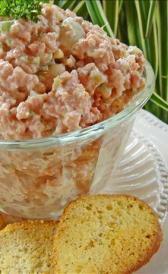 Ham and cheese spread: Ham and cheese spread is high calcium, phosphorus and sodium. On the other hand. is low in carbohydrate, total dietary fiber and total sugars. Pork headcheese: This food is low in carbohydrate, total dietary fiber and total sugars but Pork headcheese has sodium and choline, total in high quantity. Beef pork honey loaf: This food has a low quantiti of total dietary fiber, total sugars and calcium but has a high quantity of sodium, selenium and thiamin. Raw pork Italian sausage: High in total lipid, sodium and thiamin and low in carbohydrate, total dietary fiber and total sugars. Beef lebanon bologna: This food has a low quantiti of carbohydrate, total dietary fiber and total sugars but has a high quantity of protein, ash and sodium. Pork liver cheese: High in total lipid, iron and sodium and low in carbohydrate, total dietary fiber and total sugars. Loaved beef luncheon meat: This food is low in carbohydrate, total dietary fiber and total sugars but Loaved beef luncheon meat has total lipid, sodium and saturated fatty acid in high quantity. Canned pork luncheon meat: Canned pork luncheon meat is high total lipid, sodium and selenium. On the other hand. is low in carbohydrate, total dietary fiber and total sugars. Beef pork luncheon meat: This food has a low quantiti of carbohydrate, total dietary fiber and total sugars but has a high quantity of total lipid, sodium and selenium.